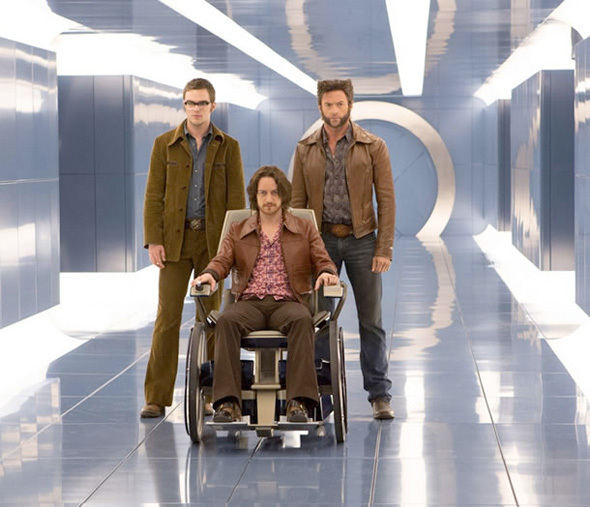 Check out this official pic from director, Bryan Singer’s, X-Men: Days of Future Past, the fan-favorite, time-travelling storyarc from the comics. Clearly in this pic, we’re in the ’70s, with a de-BEAST-ified Hank McCoy, Hippy Professor X, and everyone’s favorite mutant, Wolverine. One could only speculate what’s happening. But however this shakes out? I personally can’t wait. With Singer having produced First Class, and one could only assume has input on The Wolverine, both in the story and post-credits scene… Feels like Singer is trying to fix the ship Brett Ratner broke, and thank god.